Stream the Oakland band’s new single. 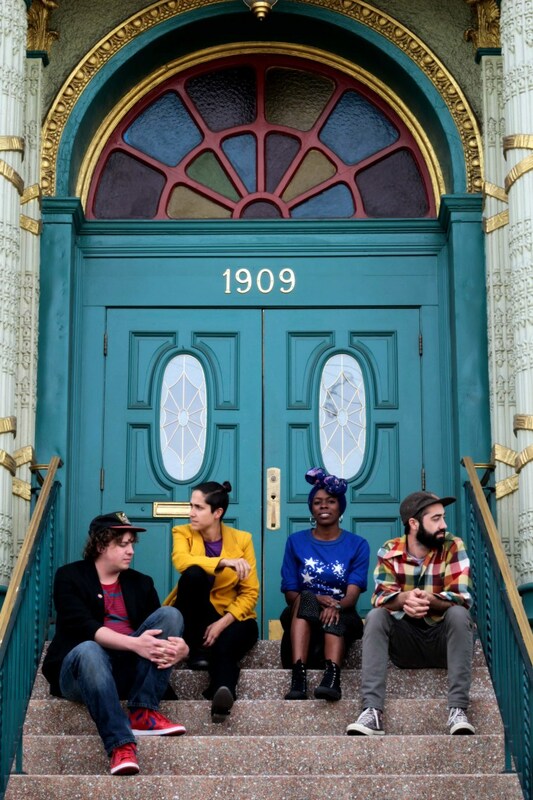 Bells Atlas are an Oakland four-piece crafting angular, entrancing tunes — last year's Hyperlust EP was a tightly crafted and soulful piece of Afropop futurism. Today, the group is premiering its new single "Spec And Bubble" with The FADER. It's uplifting, and handles a non-commitment to genre both skillfully and with a sense of euphoria. "'Spec and Bubble' is about trying to understand how to truly learn someone that you love," frontwoman Sandra Lawson-Ndu told The FADER over email. "When I started writing this song, it came from feeling exhausted and swept up by the misunderstandings in my relationships, and desperately trying not to lose sight of the beautiful pieces that connect us. Lyrically it's a back and forth between questioning what's good, and trusting what's good. I eventually land in 'we are ok.' Part hopeful mantra, part assurance." Listen to "Spec And Bubble" below. If you're in Berkeley, you can catch the band perform this Saturday October 22 at the UC Theater with The Seshen.